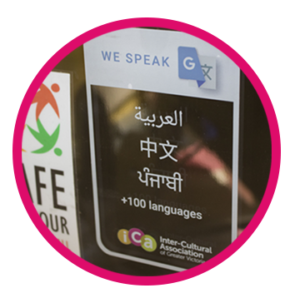 On June 18, NSIIP and Inter-Cultural Association of Greater Victoria (ICA) will be inviting managers and supervisors of frontline staff from the North Shore to come and learn about the Google Translate app. There will be a discussion around policy/procedural considerations for those interested in incorporating the app into their service delivery model. As our communities grow, the app can offer a way to bridge communication barriers with newcomers who are still developing their English language skills. Please see our event page to learn more and register. Learn more about ICA’s We Speak project here.